Samsung Galaxy S9 Plus Price, Review, Deals, Cost, & Sales! Home / Compare Cell Phones / Samsung Galaxy S9 Plus Price, Review, Deals, Cost, & Sales! The Samsung Galaxy S9 Plus is the most advanced Samsung phone to date that comes with a newly "reimagined" camera and topped with the same stunning edge to edge almost bezel-less screen. The Galaxy S9 Plus uses the same 6.2" Super AMOLED screen as its predecessor, the S8 Plus, and has retained its distinctive edge-to-edge infinity curved display. You'll hardly notice the difference if you put both phones side by side except for that slightly thinner bezel that the S9 Plus has. However, this is not to downplay the S9's screen because it already has one of the best, if not the best, screen out there in the market. Given that it uses AMOLED, colors are more vibrant and deeper as compared to non-AMOLED phones. The Galaxy S9 Plus camera is a huge leap from that of the S8 Plus because, as Samsung has it, they have completely re-engineered it. For the primary camera, the S9 Plus has a 12 MP with a dual aperture (f/1.5 and f/2.4) and has a second 12 MP telephoto camera with 2x optical zoom while the S8 Plus only has a 12 MP single aperture of f/1.7. Moreover, the S9 Plus can record 4K videos (same with the S8) and also has a super speed sensor that is capable of recording slow motion videos at a whopping 960 fps, so slow-mo videos are very smooth while the S8 Plus only has 240 fps. Lastly, for the secondary camera, both phones have the same 8 MP with an aperture of f/1.7. For storage, the S9 Plus comes with a 64/128/256 internal memory variants while the S8 Plus only has 64/128. Both phones can carry up to 512 GB external storage via micro SD. Another welcome feature for the Galaxy S9 is the dual front firing and loud stereo speakers which is awesome when watching videos in landscape mode. It is also equipped with Dolby Atmos sound and given that the speakers are located at the earpiece and mouthpiece, it gives off a more three-dimensional sound effects. The S8 Plus, on the other hand, only has a single mono and downward firing speakers located at the bottom. One of the complaints about the S8 Plus's fingerprint sensor is its awkward location which is beside the camera but Samsung corrected this with the S9 Plus and is now located below the camera. This made it easier to reach without leaving smudges to the camera lens. In addition, the S9 Plus made better use of its Face and Iris scanner because both sensors can now work together for better recognition when unlocking the phone as compared to its predecessor which uses only one sensor at a time. The pin and the swipe unlock, however, is still there just in case. 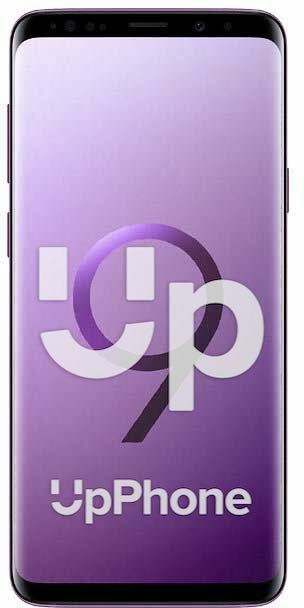 The Samsung Galaxy S9 Plus processor comes in two variants depending on the country. For US and China, their phones are equipped with the Snapdragon 845 (10nm LPP) while the rest of the world gets the Exynos 9810 (10nm FinFET). While the S9 Plus uses the more powerful chipset as compared to the S8, it is worth noting that there isn't a significant ju MP in the overall performance so for the average user, you'll notice not much of a difference. If it seems that everything is going the S9 Plus way, the battery is where the S8 Plus beats it but by not much though as both phones have the identical 3,500 mAh battery. Endurance test shows that for the S9 Plus talk time over a 3G network last up to 25:13 hours, web browsing up to 11:15 hours and videos playback up to 16:45 while the S8 Plus goes up to 23:43, 12:16 and 16:03 respectively. Both phones also have fast charging via USB type C and wireless charging technology. This phone is rated IP68, the same as the S8 Plus, which means it is dust- and water-resistant with depths of up to 1.5 meters for 30 minutes. This is the first smartphone with a variable aperture camera where you can switch from f/1.5 to f/2.4 which helps to better adapt to different lighting conditions. The S9 Plus's fingerprint reader only needs a gentle swipe down as compared to the S8 where it needs a finger press to unlock the phone. Just as the S8, the S9 Plus also has an accessory dock called Dex Station where you can hook a monitor and turns your phone into a Windows-style desktop computer. For the health conscious, this is the only phone designed with a "blood pressure sensor" in mind which, although a number of steps needed to be done first, can give you a baseline estimate of your blood pressure. The dedicated Bixby button and Bixby smart assistant is still present in the S9 Plus, although, as of June 2018, Samsung is planning to retire the Bixby smart assistant. The S9 Plus has its own AR emoji which scans your face and turn your face into an emoji where you can record messages and mimics your facial expressions.